Shel Carson was a great cop until she fell victim to the vices of Altanta's underworld. Clawing her way back from the brink has left her clean and sober, but also dishonored and unemployed. She turns to the only thing she knows and becomes a detective for hire. She can't afford to be picky about her cases, and when a wealthy client wants her to extract his kidnapped daughter from his manipulative, psychotic ex-wife she reluctantly agrees. The fee is huge and will ease her financial woes. She finds mother and daughter quickly, living under new names. Even to Shel's jaundiced eye, "Addison James" appears to be a loving mother and a gentle, quiet woman, nothing like the evil witch her ex-husband described. A belated sense of honor is extremely inconvenient--as is the irresistible passion that Addison arouses. 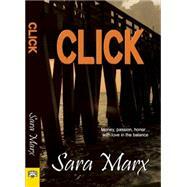 But her client wants back what he considers his... Sara Marx is the author of Before I Died and InSight of the Seer.